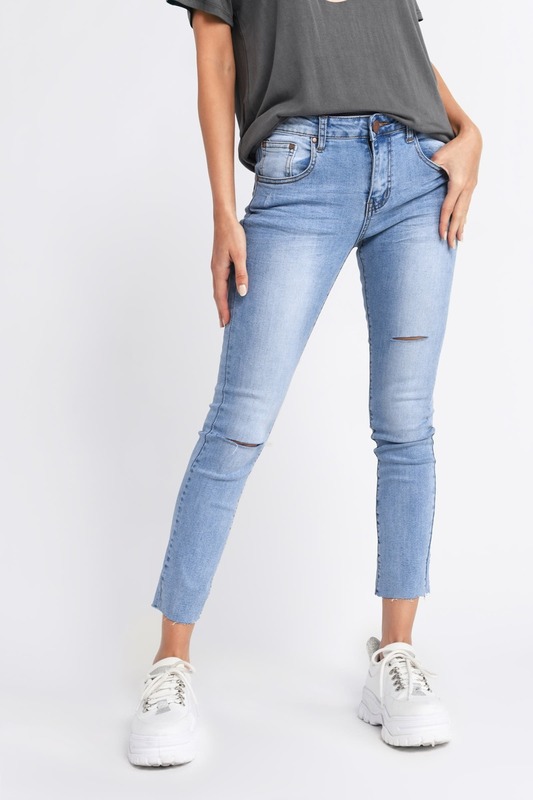 Check out Tobi's Jefferson Mid Rise Distressed Skinny Jeans The Jefferson Light Wash Mid Rise Distressed Skinny Jean is a classic must-have for every season. 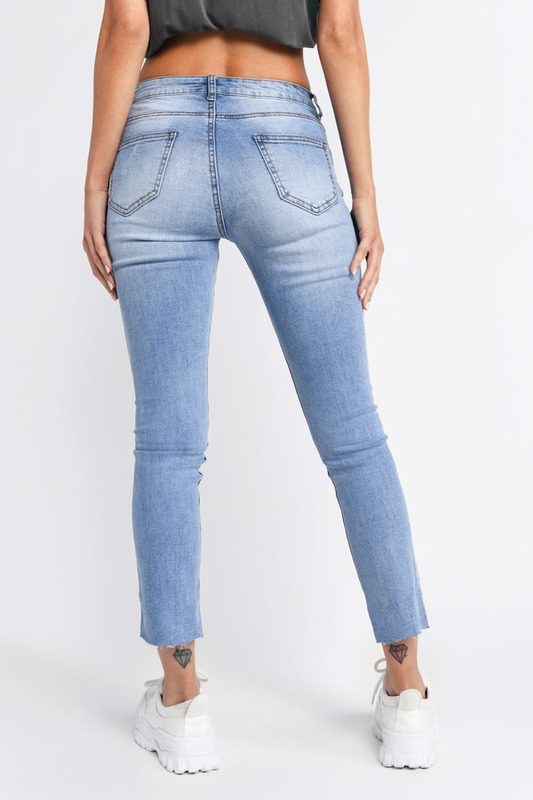 These blue skinny jeans feature a five pocket cut, lightly distressed knees, and an ultra skinny fit on a soft, power stretch denim. Our fave combo? White shirt tucked in these cute skinny jeans--it's totally classic. The Jefferson Light Wash Mid Rise Distressed Skinny Jean is a classic must-have for every season. These blue skinny jeans feature a five pocket cut, lightly distressed knees, and an ultra skinny fit on a soft, power stretch denim. Our fave combo? White shirt tucked in these cute skinny jeans--it's totally classic.